For concrete stadiums, Southern Bleacher provides high quality "plank-on-concrete" seating, with brackets mounted to concrete and fitted with our durable bench seating with optional backrests. 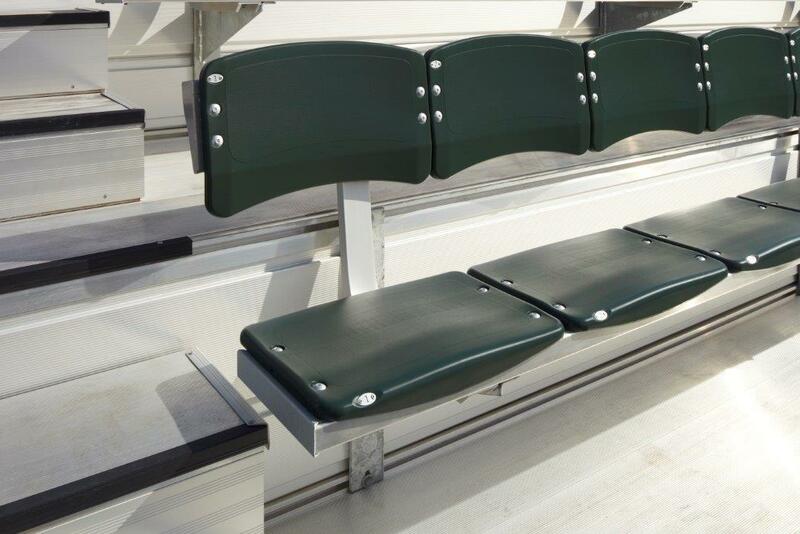 The Southern Bleacher Elite Seat series is a cost-effective solution for upgrading concrete stadium seating at a lower cost compared to stadium chairs. Our Elite Seat product creates more comfortable, individual blow-molded plastic seats - with or without backrests - mounted to aluminum plank benches. 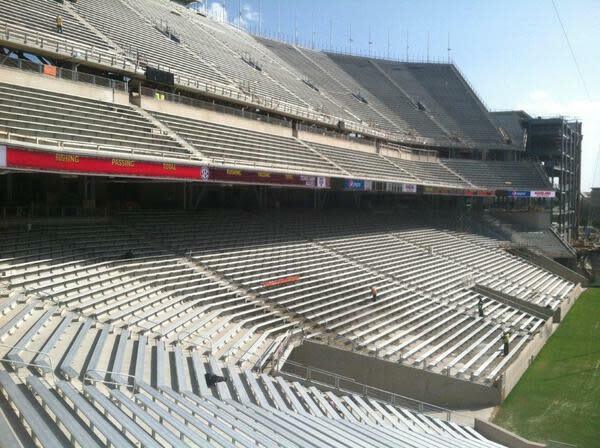 Our University of Minnesota Golden Gopher football stadium - the TCF Bank Stadium, aka "The Bank" or "The Gopher Hole" - is a prime example of our high-quality seating for concrete stadiums. The venue shows off Gopher pride with Southern Bleacher stadium bench seating in three colors in our durable coatings - natural aluminum plus maroon and gold spelling out "Minnesota" and showing off university&apos;s athletics "M."